One of the best ways to maintain your child’s health and wellness is to ensure that he or she is eating the right foods. The USDA provides tips for helping young children at healthy breakfasts, lunches, and dinner. Necessary nutrients include fiber, protein, Vitamin C, and Vitamin D. Children need to get these nutrients all the more because they are still growing and developing. Read below to gain a basic understanding on why good child nutrition is important, and to get personal guidance from a trusted pediatrician, call Surfside Pediatrics in Ventura, CA, today! For your children to remain healthy, strong, and resilient, it is essential that they receive the recommended level of nutrients, vitamins, and nourishment. Unfortunately, the average American diet includes a lot of processed foods that don’t always provide a sufficient amount of nutritional value. The U.S. Centers for Disease Control and Prevention estimates that 12.5 million American children are obese. This is largely due to the habit of eating too many fats, sugar, and refined carbohydrates, and not enough vegetables, fruits, and whole grains. - Include more fiber and whole grain-based cereals or breads. - Provide small trays or bags of vegetable and fruit bites that are kid-friendly and easy to grab when on the run. - Aim to include green leafy vegetables (e.g. spinach, kale, and broccoli) in more meals. - Ensure that your child is getting ample protein from foods like egg yolks, beans, and meats. - Check sugar content on foods and minimize sugar consumption. 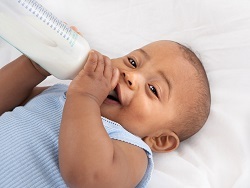 - Newborns should be breastfed for at least six months to ensure the best nutrition. It’s not always easy to make child nutrition changes, and when in doubt, seek the advice and guidance of your Ventura pediatrician. It’s important to talk to your child’s doctor about good nutritional choices, from their first appointment as a baby, and throughout their developmental stages. You’ll work together as a team to ensure that your child stays healthy, active, and fit! Take the first step towards improving your child's health by contacting Dr. Kevin White or Dr. Stacey Lowen at Surfside Pediatrics in Ventura, CA. Call (805) 643-7500 today to schedule your visit at a time that’s convenient for you! There are multiple benefits to breastfeeding or nursing your newborn. Many benefits are health-related for both mother and child, but there are emotional benefits, as well. One emotional advantage to breastfeeding is that it provides an excellent opportunity for a mother and child to bond with one another every time the baby nurses. Read below to learn the benefits of breastfeeding in greater detail, and call the doctors at Surfside Pediatrics in Ventura, CA for more information. There are many health advantages to breastfeeding babies. For maximum health benefits, the general recommendation is to breastfeed your newborn for at least six months, if possible. One breastfeeding benefit for mothers is that it helps burn calories. It also helps the uterus shrink back to its original pre-pregnancy size. Both of these benefits—burning calories and shrinking the uterus—can help mothers more easily lose weight. Although breastfeeding has a plethora of positive effects, it does not always go smoothly for every mother and baby. Some babies have a difficult time latching on to the breast, which can make breastfeeding challenging. Breastfeeding can also be physically uncomfortable for the mother at times, especially when the baby does not latch on properly. Additionally, some mothers can experience difficulties in producing enough milk for the child. Fortunately, doctors, nurses, and lactation coaches can all help mothers and babies overcome different breastfeeding challenges. Call our Ventura Office Today! Breastfeeding offers multiple benefits to both mothers and babies. For more information on the benefits of breastfeeding, schedule an appointment with a pediatrician by calling Surfside Pediatrics in Ventura, CA at (805) 643-7500. Wondering whether to breastfeed or bottle feed your soon-to-come newborn? Sometimes, breast vs. bottle is an emotionally charged issue. So, at Surfside Pediatrics in Ventura, CA, Dr. Kevin White and Dr. Stacey Lowen and their team want to give you basic facts to help you decide what's best for you, your baby and your family. Family health organizations typically endorse breastfeeding in Ventura as the optimal option for your baby's health and well-being--and yours, too. The American Pregnancy Association cautions, however, that if you feel ambivalent about it, talk to your pediatrician, lactation specialist, local hospital, or breastfeeding support group. In general, nursing creates an intense bond with your infant. Face-to-face contact helps your baby recognize you quickly, and as a mom, your physiological and emotional well-being improves during early postpartum weeks as you breastfeed. Nutritionally, nothing is as complete and as well-tolerated as breast milk. It confers substantial natural immunity against a variety of diseases as it transfers immunoglobulins to the baby. The medical professional calls this process passive immunity. In addition, your baby self-regulates his or her intake, taking as much as is needed to feel full. Also, breast milk costs nothing; requires no bottles, measuring, or preparation; and is always available. While your pediatrician highly recommends breastfeeding, some moms cannot nurse their babies because of a medical condition, family situation, or medication they are taking. That's where bottle feeding comes in as a wise alternative. Women all over the world breastfeed their babies for six months to one year, says the World Health Organization. They see a quicker return to their pre-pregnancy weight and shape and later in life, enjoy lower rates of breast and uterine cancers, heart disease, diabetes, and more. Babies grow more quickly and have fewer allergies and ear infections when they are nursed--even for short periods of time. Truly, mom's breast milk is a "high test" fuel. If you wish to know more about feeding your newborn, please contact Surfside Pediatrics in Ventura, CA, for more information. We want you and your baby to experience a great first year and beyond. Call (805) 643-7500. Does My Child Have ADD or ADHD? Do you think that your child's behavioral problems may be caused by attention deficit disorder (ADD) or attention-deficit/hyperactivity disorder (ADHD)? Our Ventura, CA, pediatricians, Dr. Kevin White and Dr. Stacey Lowen of Surfside Pediatrics, discuss the disorder and share common symptoms. Attention deficit/hyperactivity disorder is a neurodevelopmental disorder that causes a chemical imbalance in the brain. Although the term ADD was used for years, it's been replaced in recent years by ADHD. ADHD encompasses several sub-categories of the disorder, including primarily inattentive, which some people still refer to as ADD. Other sub-types of ADHD include primarily hyperactive-impulsive and a form that combines both inattentive and hyperactive-impulsive types. How can I tell if my child has the disorder? 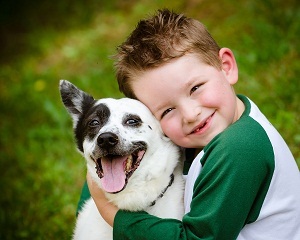 What treatment options are available in Ventura for ADHD? Because every child who has ADHD has different challenges, it's important to develop a treatment option that addresses your son or daughter's unique needs. Behavior and talk therapy can be very effective in helping your child control behavior that's considered inappropriate by other people. Participation in a social skills group may be recommended if your child has trouble with relationships. During group sessions, your child will learn how to successfully interact with other children, recognize social cues and manage their emotions. Medication might also be helpful, although it may be possible for your child to control his or her symptoms without medication, depending on the severity of the symptoms. Children who receive medication are closely monitored by our office to ensure that the drug prescribed works well and doesn't cause troubling side effects. ADD and ADHD treatment can help your child manage his or her challenges. Call our Ventura, CA, pediatricians, Dr. White and Dr. Lowen of Surfside Pediatrics, at (805) 643-7500 to schedule an appointment. Making sure your child eats a healthy diet can sometimes be difficult, but it doesn’t have to be. 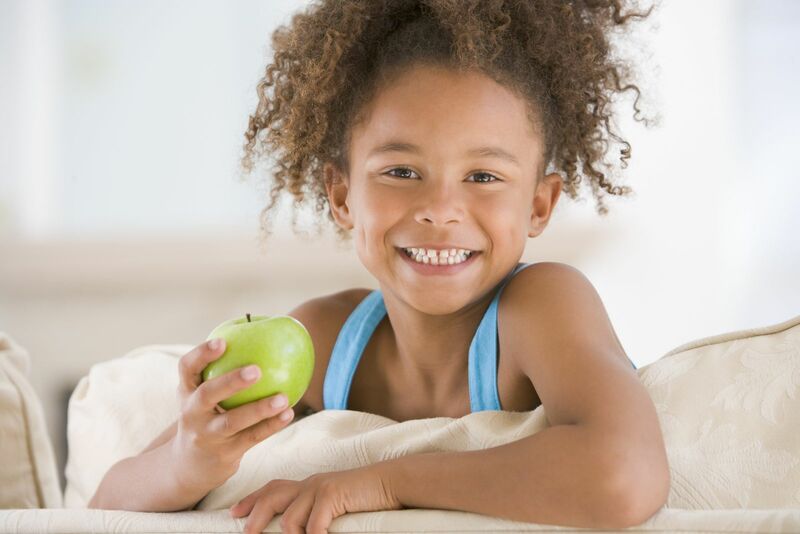 There are a lot of misconceptions about what a healthy children’s diet should look like. You as a parent, probably have a few questions too. 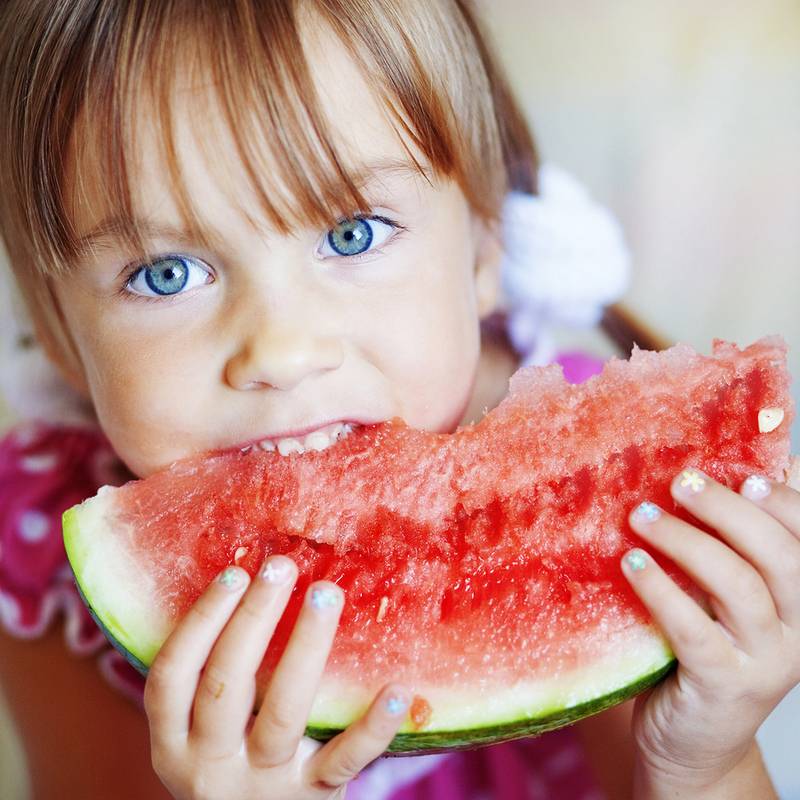 Your pediatricians at Surfside Pediatrics in Ventura, California want to help answer some frequently asked questions about children’s nutrition. How many cups of water should children drink each day? If your child is between the ages of 4 and 8, 7 cups of fluid need to be consumed per day, in the form of water, other liquids or foods. What are some healthy snacks I can feed my child? There are many healthy snacks perfect for children including nuts, an apple or banana along with peanut butter. Sugar is empty calories which can make your child gain weight but provide no nutritional value. Sugar intake also affects your child’s teeth, causing tooth decay and other dental issues. Are juices good for my child? Juices often contain lots of sugar, along with lots of calories. They do provide some vitamins, but eating fruit instead of drinking juice is far better for your child. Eating fruit provides all the same vitamins along with fiber, which is essential to keep your child healthy. Your child deserves a long and healthy life and it all starts with good nutrition. To find out more about nutrition and other pediatric topics call your pediatricians at Surfside Pediatrics in Ventura, California today!